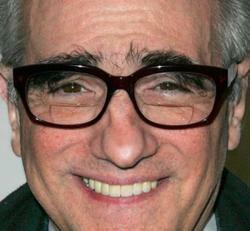 Blu-ray Brings a Smile to Martin Scorsese's Face! For this year’s Blu-Con 2.0, the keynote speaker was heralded master filmmaker and movie fan extraordinaire Martin Scorsese. As an avid cinephile, restorer, and collector, he remembers the days when the only way to “own a movie” was through the poster. One could go to revival houses, of course, but after years of use and abuse, prints were scratched, faded, and even missing scenes. Then came the videotape. The first chance to build a film collection for the home, but VHS was a very limited technology. DVDs were one step better. A boon to the cause of restoration. Yet even DVDs were troubling, with the squabble over aspect ratios (full screen vs. wide screen). And now, Blu-ray disc. To Mr. Scorsese, despite the fact that the cinema going experience can never be fully recreated, Blu-ray is the closest home theatre has ever gotten. It marks the very best quality picture and sound. Visual clarity is so strong; it’s all encompassing, almost 3D. As for the audio, he recently remarked while mixing ‘Shine a Light’ that he was excited to know that what he and his team mixed, would transfer exactly to the home. When asked what he thought about the ability to alter classic titles for Blu-ray release, (such as removing production wires from special effects, or remixing mono soundtracks into 5.1 stereo surround) Mr. Scorsese said that one must preserve the vision of the filmmaker, through elements such as correct aspect ratio, color, and sound. Regarding special effects, moderator Grover Crisp (SVP, Asset Management, Film Restoration & Digital Mastering, Sony Pictures Entertainment) spoke with Scorsese about the recent 4K restoration of ‘Dr. Strangelove.’ There were strings in some shots of the planes. Sony left the strings in for the studio’s master so they would always have them, but for the Blu-ray release removed the them, as the medium is so clear, on today’s larger television, the strings would have been distracting. Something Stanley Kubrick never wanted his audiences to see. As a fascinating anecdote, Mr. Scorsese said in the early 1990s Kubrick was self-preserving ‘Dr. Strangelove’ using a 35mm still camera, photographing it frame-by-frame. Scorsese chuckled, and then admitted that he wasn’t sure if Kubrick ever concluded this project. Peter Bogdanovich said there are, “no old movies, just ones you haven’t seen.” And it’s through Blu-ray that Scorsese finds this especially true. Blu-ray has the ability to extend the life of film, in that it presents and preserves all the elements that make this visual medium feel like film (grain, texture, color etc). He said with previous home entertainment formats, audiences might not have been able to tell you exactly why a movie wasn’t as good as it was in the theater. Yet subconsciously they could feel it when clarity, color, and quality were lost. When asked about his favorite Blu-ray movie, Mr. Scorsese didn’t want to pick just one, but admitted that every time he fires up John Ford’s ‘The Searchers,’ even just to check it out, he can’t turn it off. It still holds up, it’s very moving, and there’s beauty in the landscape and the nature of the faces.